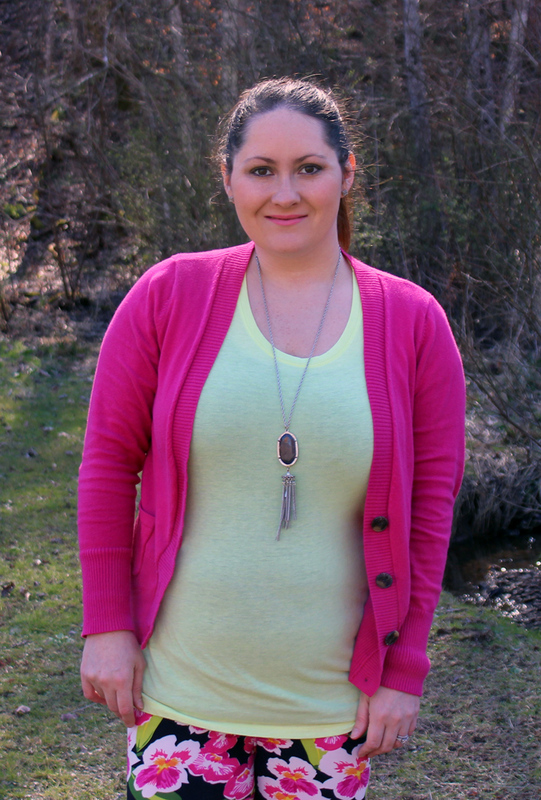 Welcome to the March installment of our "How I Style It" Blog Hop! This is a monthly Blog Hop where we all get together to show you how we style our favorite fashion trends, and invite you to join us in showing off your passion for fashion as well! Happy 1st Day of March everyone! I seriously can't believe it is already March, can you? This year is already flying by quickly. March has me super excited because it means we are close to Spring. With that being said, we are sharing our floral patterns for this blog hop. I love floral patterns, but never feel comfortable wearing them. However, I do love these floral crops. Kentucky weather is always kind of crazy so it's not uncommon to have a lot of warm days. On the beautiful warm days, I love to wear my crops. I like to still wear a sweater or cardigan too because you never actually know what the weather will be like an hour later in Kentucky. 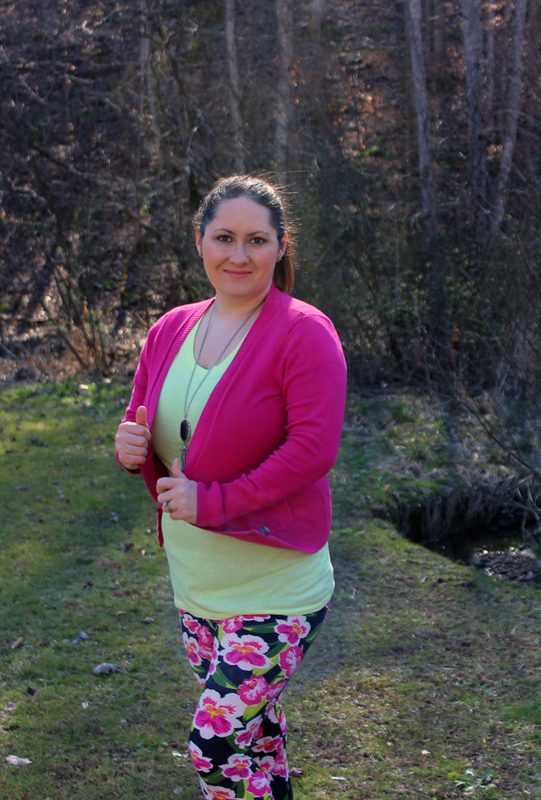 I'm loving the hot pink flowers in these crops, so I added a hot pink cardigan to match. I also love the hints of green and yellow in the crops too, so a basic neon tee goes perfectly to pull the outfit together. This is the perfect outfit to get you in the mood for spring. I can't wait for warm weather and beautiful flowers! 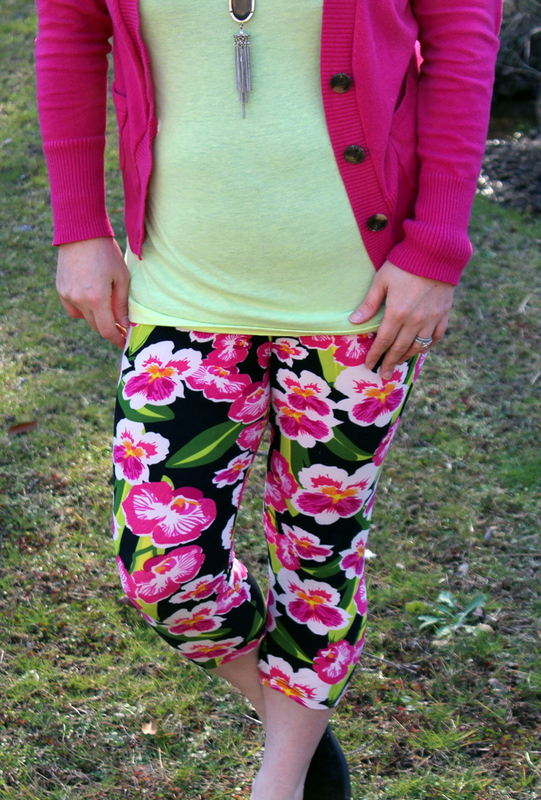 What's your favorite way to style Floral Patterns?